Home | Beauty | Marine’s Tips: How to keep your sun-kissed tan? I wanted to explain how we can maintain the lovely tan we’ve got from holidays a little bit longer and make our colleagues a little bit jealous of our incredible sun-kissed skin with a simple recap. Skin tan is the visible result of the production of melanin into the skin while exposes to UV (UV A & B). Melanin is actually a pigment, produces by a type of skin cells called melanocytes. When you expose to the sun, the skin will react by “asking” the melanocytes to start producing and releasing melanin with the aim to protect the DNA of the skin cells from damage. Melanin is simply like a “first defence system” working by absorbing the UV radiation. Genetics will explain why certain people are tanning better and darker than others. The UVB will be the ones which will trigger the production of melanin, by a slow process, while the UVA will simply oxides the melanin already present, creating a fast “brown” colour but not a long lasting one. The tan will start to varnish along will the natural skin renewal process which takes 28 days. Now we know about the process, it is easy to understand why hydration and exfoliation are keys to keep our beautiful tan as long as possible. I have also other little tricks (of course from French Pharmacy) which could help to hold on to our favourite “back to work”colour. I have never understood why this type of supplement isn’t known in the UK, to be honest. 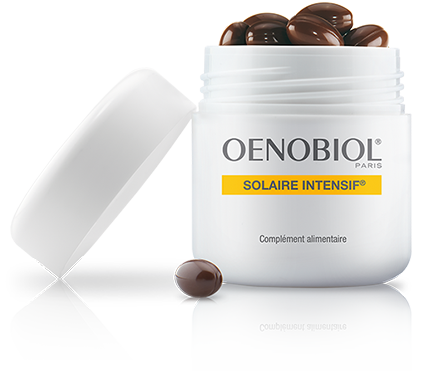 It is very popular in France and used in pre-exposure especially by people prone to sun allergy. Having a very light skin (I burn before bronzing, thanks to my blond hair Mum ;), I am always taking a course during summer, starting two weeks before going away and then carrying a month after. Thanks to the antioxidants and ingredients such as Lycopene it really gives a good boost for tanning quicker and helps to maintain a lovely sun-kissed skin colour. Of course, you can always eat a lot of carrots and tomatoes where the lycopene and carotene are from! Caution: This product contains no screens or filters and should be used with your regular sunscreen in case of prolonged exposure or strong sunlight. I actually discovered this product this year. 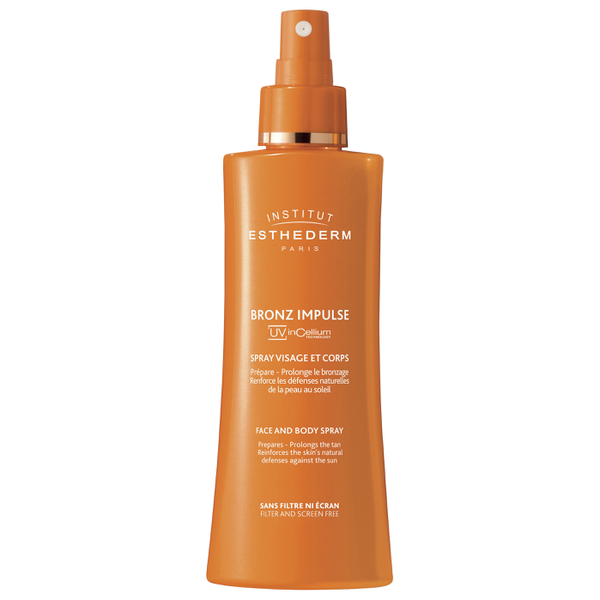 It is another pre-exposure product, also used for prolonging the tan. I have (of course) tried it this summer and I was impressed by the effectiveness! Esthederm claims that it activates the pigmentation process and protect the cells. Which, when I looked at the ingredients and researches behind made sense to me. Ideally, we should exfoliate our body every week to get rid of the dead cells and help the renewal of new ones. During sun exposure it is even more essential as the skin tends to get thicker. If you want to do the only one thing to help keep your tan, that will be to moisturize, ideally twice a day. 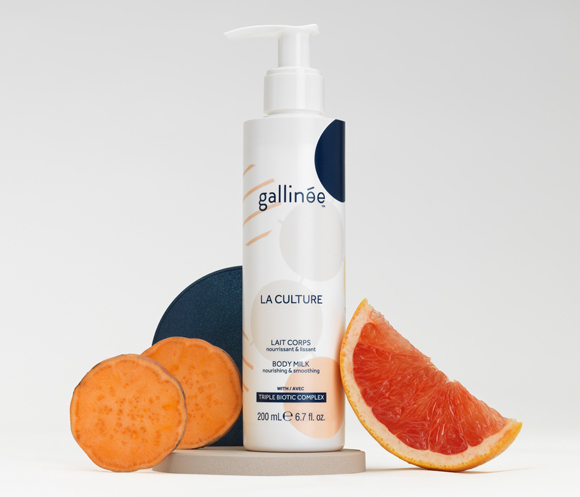 Have you ever smell or try Gallinée body lotion? No? Well just give it a go and then you will know why it is on my list! 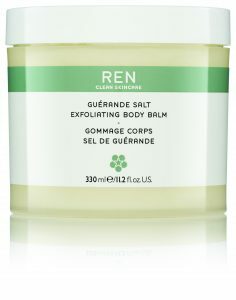 Obviously, the routine will be the same as for the body: Exfoliate once to twice a week and moisturize twice a day. 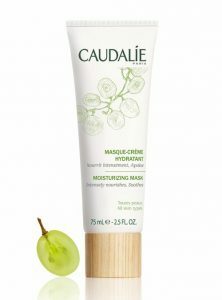 Therefore, a good tip will be to use the Caudalie hydrating mask as a night cream twice a week in September: rehydrating, radiant skin guaranteed!